For meat-eaters, beef mince is a versatile addition to the shopping trolley, providing the backbone for family favourites such as spag bol, cottage pie and lasagna. 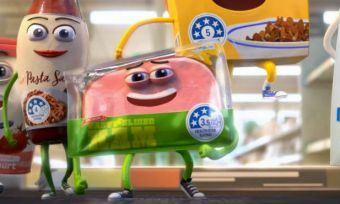 And if you’ve recently found yourself in the meat section of your local Coles supermarket, you may have noticed a health star-style ratings system on select packets, helping you choose which to purchase based on nutritional information. While it may be a no-brainer to simply go for the healthiest option (i.e. the best star rating), as with most healthy foods, you’ll have to fork out a few more dollars to get the ‘best’ nutritional breakdown, meaning picking up something for dinner can become a tougher – and more expensive – decision than anticipated. 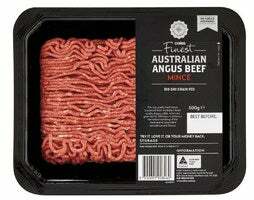 So, what’s the deal with Coles’ tiered beef mince products? Is it really worth paying extra when all the different packets look more or less the same? In this article, Canstar Blue looks at the nutritional value of the Coles brand beef mince varieties, and if the healthier options are worth the price tag. Each is available in 500g packets, with the 3-star mince additionally available in a 1kg packet, handy for those looking to whip up a big meal. While in the same vein as the Health Star Rating System set down by the Australian Government, Coles’ star-ratings system is different, and simply used to highlight the difference between the mince varieties available. However, it does set the foundation for the comparison between each of Coles’ beef mince products, which is shown below. Information sourced from Coles website, January 2019. Is the mince worth the price? 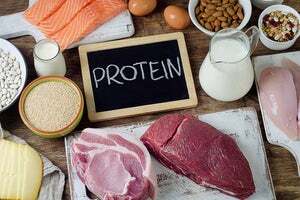 As seen in the table, protein levels remain fairly consistent across all types, meaning there won’t be much difference if you’re looking to pack on the muscle. Additionally, there aren’t any carbs in any of the mince products, with the health star ratings focusing primarily on how much fat each product packs. In comparison to the 3-star Regular mince, the 4-star Lean mince has almost half the intake of fats, saturated fat and sodium, all for an extra $2. If money is no object, the 5-star Extra Lean mince contains less than a third of the fat and saturated fat intake of the 3-star mince, with slightly less sodium levels, but does come at almost twice the price. 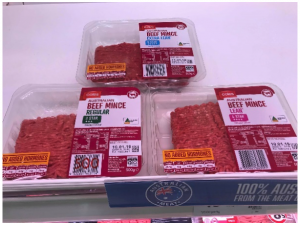 Apart from the above three products, you may have noticed other Coles branded beef mince products, including its Graze Grassfed mince, and the Finest Angus Beef mince, both noticeable by their different packaging. 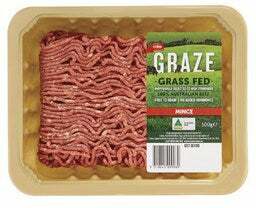 The Graze Grassfed range, said to be made from 100% Australian, free-to-roam beef, is made for those after a more organic option, with a similar nutritional breakdown as the 4-star Lean Beef mince. While it may include the same protein and fat intake, it will cost you a bit extra, setting you back $7.50 per 500g packet. If the top of the line is more your style, Coles additionally offers the Finest Angus Beef mince variety, which costs $9 per 500g packet. However, if you’re after the nutritional information, you may be out of luck, with none provided on the actual packaging, or on the Coles website. This is because nutritional information for minced products aren’t required, unless “a claim is made in relation to the fat content”, according to Food Standards Australia. When contacted, Coles stated that the “Finest Angus Beef Mince is made to the same target fat content as [the] 4-star mince”, meaning you can expect around 10g of fat per serve, although it may be hard to count calories if you’re sticking to a strict diet. While it may be easy to simply look at the health star rating on the packet, to ensure that you’re getting the best in terms of nutritional value from your grocery shop, it’s important to understand just what you may find in beef mince. Below is a brief overview of some of the macronutrients that you’ll find in a packet of beef mince, and what affect they have on the body. While more commonly associated with putting on muscle, protein is also an essential macronutrient even if you’re not making it to the gym. The average person needs around 0.8-1.2g of protein per day, per kilo of body weight, and more if physically active. If you’re big on counting calories, 1g of protein is equal to 4 calories. Though they’re often painted as the bad guy, fats are a crucial part in multiple body functions, including cell growth, protecting organs, as well as regulating hormones. Dietary fats, otherwise known simply as ‘fats’, contain 9 calories per 1g, and can promote unhealthy weight gain if regularly consumed in large amounts. As a result, the recommended intake of dietary fats is between 20-30% of daily energy intake, according to the National Health and Medical Research Council. A subcategory of dietary fats, ‘saturated fats’ are different on a molecular level to dietary fats, with a chemical structure free of double bonds, and more hydrogen atoms than other fats. Consuming too much saturated fat can increase cholesterol levels, which can negatively impact your cardiovascular health, and increase the likelihood of heart disease. The Heart Foundation recommends that saturated fat should make up less than 10% of your daily energy intake, which equates to around 20g based on the average adult’s intake. Sodium is an electrolyte that helps control blood pressure, as well as plays a part in muscle contraction and nerve conduction. 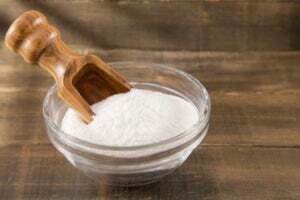 The Heart Foundation recommends less than 2,000mg of sodium a day – which equates to about 5g of salt – while the National Health and Medical Research Council recommends less than 1,000mg. Your body loses sodium through dehydration or through a dilution of the electrolytes, but a regular diet and consistent intake of water should give you all your recommended sodium for proper body functionality. If you’re unsure about your current intake of nutrients, or you’re looking to get a moo-ve on in terms of your fitness goals or eating habits, it’s best to consult your GP before making any major changes to your nutritional intake. Which Coles mince should I buy? Ultimately, which type of beef mince you decide to stock up on will come down to your individual circumstances, including fitness goals, nutritional intake needs, budget, as well as your preference for taste. Those more conscious about cutting back on their fat intake may have no issue forking out a bit extra to stay lean, while those on a budget may not have an issue with going with the higher fat intake. If you’re thinking about switching to a leaner beef mince, it should be noted that being healthy is a combination of factors and food groups, plus other lifestyle choices. While making the switch to a healthier meat variety may be a good starting place for some, it will be one of just many small but important food choices to make. Consulting your GP or a health professional, such as a nutritionist or dietician, may help you find the best food for your situation and goals.